Una experiencia unica e inolvidable. Desde el guia hasta los porteadores han hecho de esta ardua caminata incaica un verdadero placer y el sueño de llegar al machupicchu. El mejor programa para comenzar el año nuevo! Un servicio y atención las 24 horas que solo el Inca Trail puede ofrecer. One of the best ways to start the year. My girlfriend and I are on our 3 month holiday adventure and decided to go for the inca trail. I was fortunate enough to be stuck with the best group of people. The trek was challenging but doable with the support of our amazing guides and team. A must do adventure!!! Going into this hike, I was unsure what to expect. Especially since I am not that athletic. 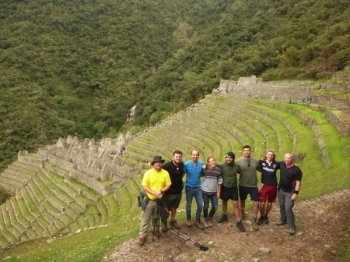 Inca trail reservations gave our 30 person group one of the best experiences of our lives. Hopping off the train early to ascend to Sun's Peak accross ancient incan ruins, waterfalls, and beautiful vistas was an experience most tourists will not experience. 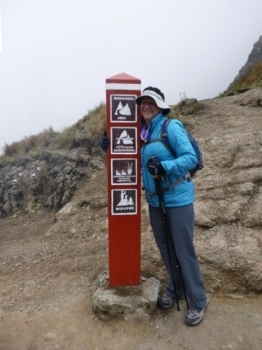 The hike made the descent to Macchu Picchu far more satisfying. This was a once in a lifetime experience. Our guides added invaluable cultural knowledge and assistance to us as we hiked. Two girl friends and I walked the four day Inca 4 day Inca Trail with guide Paul and assistants Willie and Juan Carlos, three wild and crazy guys!!. Met them and the other adventures the evening before our trek at their office in Cusco. Wow, what an experience. It started with nervous excitement not sure how it was going to be from the moment, I was picked up from the hotel, but once I was on the bus and heading towards our destination things were relaxed. We had 4 wonderful days at the Inka Trail with Pedro as our great guide. Walking around the ancient Inka sites was magnificent and Pedro knew all about all places including great locations for photos and selfies.